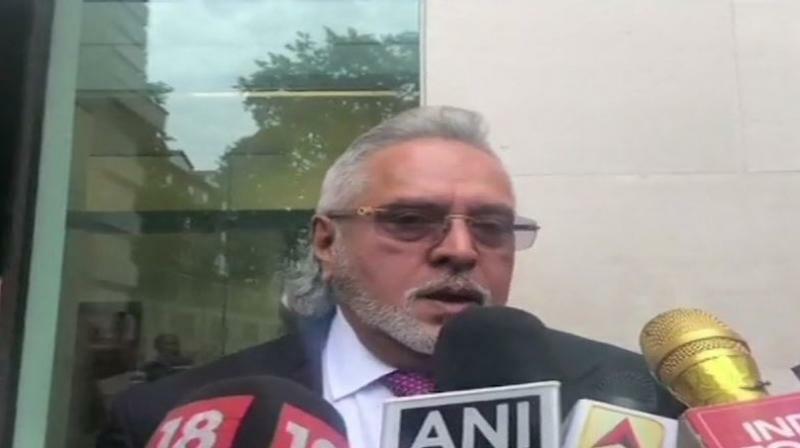 Mumbai/London: A defiant Vijay Mallya, who is facing money laundering charges in multi-crore fraud case in India, said on Wednesday that he had made a "comprehensive settlement" offer before the Karnataka High Court that will help in paying off all his dues. The 62-year-old former Kingfisher Airline boss, who has been on bail on an extradition warrant since his arrest in April 2017, responded to the swarm of reporters gathered outside the court in his characteristic manner, saying the "courts will decide". They have asked the court for permission to allow the sale of assets under judicial supervision and repay creditors, including the Public Sector Banks such amounts as may be directed and determined by the Court.